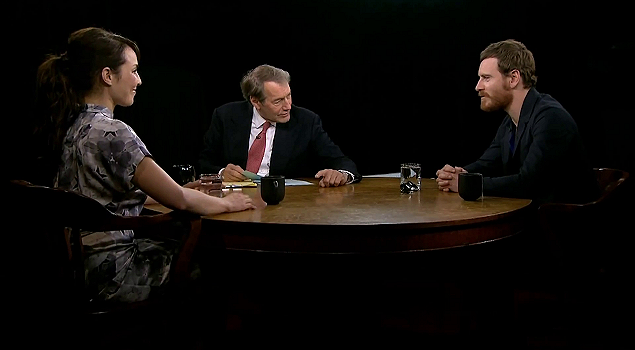 On June 08, 2012, Noomi Rapace and Michael Fassbender appeared on “Charlie Rose” to promote the US release of “Prometheus”. This is an insightful and very funny half-hour interview. The complete segment can be watched in two parts in the video archive. Many thanks to Saul for the heads-up and to w0utube for the original video. HD screencaptures have been added to the gallery as well.